Large group of bairns, I think it's North Walls school. 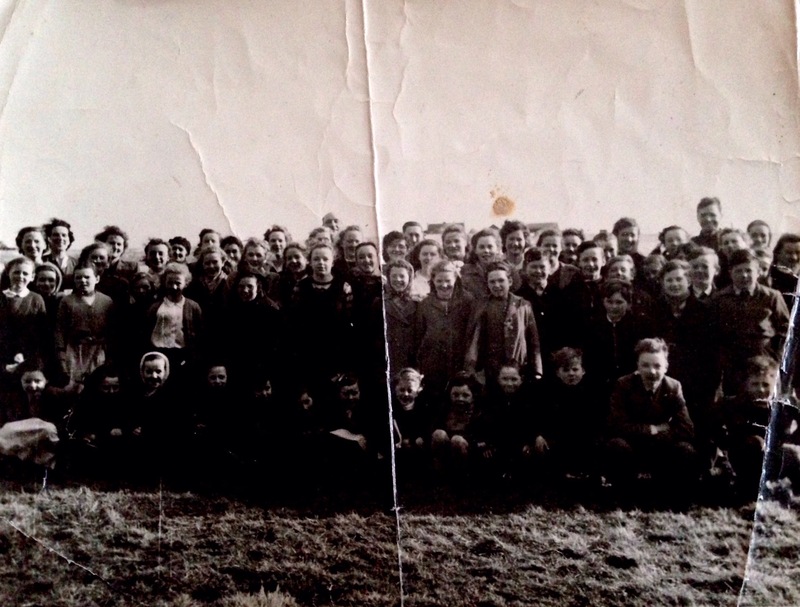 I'm pretty certain my dad Jim Baikie is the wee boy behind the front row on the far right and his sister Janice is on the same row but second from the left. My date guess is 1950, given that my dad was born in 1940 and Janice in 1941.